This week's links also include discussion of a private sponsorship model for refugees and the economics of migration. With nearly 400,000 Rohingya crossing the border into Bangladesh, Secretary General of the UN, António Guterres, has called on Myanmar’s authorities to cease acts of violence, uphold the rule of law and allow aid into the country. 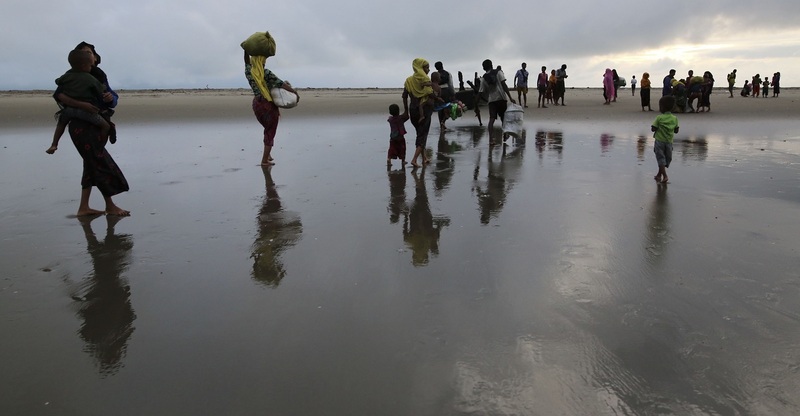 Domestically, the Rohingya community has urged the Australian government to assist. Brookings Institute’s Bruce Katz, Bruce Jones and Jessica Brandt consider the scale and nature of contemporary displacement. The University of Oxford’s Paul Collier and Alexander Betts make a case for granting refugees the right to work. Migration Policy Institute Europe’s Susan Fratzke details the advantages of states adopting a private sponsorship model for refugees. Brookings Institute’s John Hudak and Elaine Kamarck discuss the costs of Trump’s DACA repeal. The Centre for Global Development’s Michael Clemens and Hannah Postel unpack how violence has shaped patterns of child migration from Central America to the US. BBC takes a look inside a migration detention centre in Tripoli, Libya. The UK Anti-Slavery Commissioner has published a report examining the nature and scale of modern slavery experienced by Vietnamese nationals en route to and after settling in the UK. Check out the Cato Journal’s special issue on the economics of immigration. India’s retaliation against Pakistan is predictable, and not at all effective in tackling sources of Kashmir’s strife.